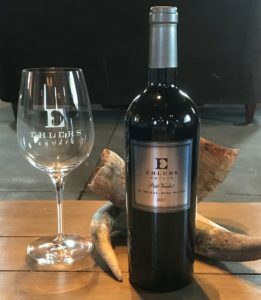 Ehlers Estate is a winery located in the northern part of Napa Valley’s St. Helena appellation that crafts all of its premium wines from estate fruit: they don’t buy any grapes, and they don’t sell any grapes. There’s also a lovely foundation story here about how the original 42-acre property was established in 1885, then broken into smaller parcels over time and separated into different individual owners’ hands, until new owners were able to reconstruct the entire original property. This is also one of the few wineries in Napa Valley where you can find an outstanding Petit Verdot wine. Grapes have been grown in the Ehlers Estate vineyard since the mid-1800s. Originally founded by Bernard Ehlers in 1885, the original property began its journey with a 10-acre vineyard, followed by the establishment of an olive grove, and then the completion of the beautiful stone barn which now serves as the winery building. Ehlers Estate has had several successive owners since then and the original 42 acres were carved into smaller lots. In the 1980’s, French entrepreneurs and philanthropists Jean and Sylviane Leducq began purchasing separate lots, eventually building a contiguous wine estate which now encompasses the original 42 acres. The winery estate is planted with Cabernet Sauvignon, Merlot, Cabernet Franc, Petit Verdot and Sauvignon Blanc grapes and is farmed with strict organic farming practices certified by the California Certified Organic Farmers (CCOF). The vineyard and cellar teams share a non-interventionist winemaking philosophy which has at its core the belief that terroir defines a wine. 100 % of the proceeds from the sale of Ehlers Estate wines are returned to the Leducq Foundation to support international cardiovascular and neurovascular research. The Leducq Foundation was founded by Jean and Silviane Leducq, recognized by the French Government in 1996, and Ms. Leducq was a French Legion of Honor recipient in 2009 in recognition of her generosity and leadership of the foundation. 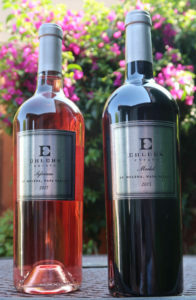 Generally speaking, the Ehlers Estate wines are made in a Bordeaux style while still embracing the wonderful Napa Valley fruit grown on the estate. The wines are rich and complex, elegantly structured with vibrant fruit and acidity and well-integrated tannins. These wines are definitely structured to age well. 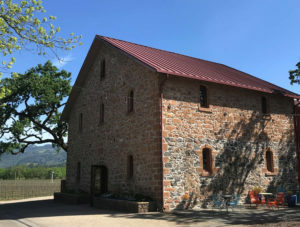 Ehlers Estate’s Winemaker, Kevin Morrisey, has been making the wines here since 2008 and Francisco Vega, the Vineyard Manager, has been with the winery since 2001. All of the wines here are small production wines and overall production is approximately 8K – 10K cases per year. Some of our personal favorites include the “1886” Cabernet Sauvignon, the “Portrait” red wine blend (primarily Cabernet Sauvignon), Merlot, Cabernet Franc, Petit Verdot and Sylviane Rosé (made from Cabernet Franc). The Petit Verdot production is particularly limited as its source of grapes is only one acre of grapevines. 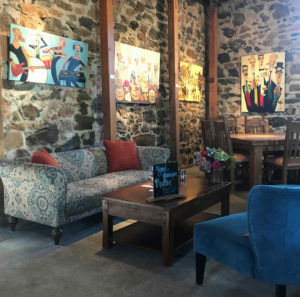 Ehlers Estate is open from 9:00 am to 3:30 pm daily, and appointment-only tastings take place in the beautiful and eclectically decorated 1886-era stone barn. 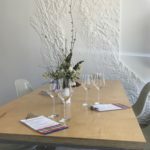 The Ehlers tasting experiences are seated, limited to parties of 6 or less, require an appointment, and have a 72-hour-notice cancellation policy. The traditional Estate Tasting Experience is currently available for $35 per person. To get your morning going, consider the “Start Your Day” Tasting Experience at 9:30AM which not only includes tastings of the estate grown and produced wines, but also features freshly baked croissants from Bouchon Bakery, a stroll through the winery estate and a sampling of a future release. The cost for the Start Your Day Experience is $50 per person. Ehlers Estate is located at 3222 Ehlers Lane in St. Helena. The winery can be reached at (707) 963-5972 or via email at info@ehlersestate.com. The winery is approximately 30 minutes from the city of Napa and about 10 minutes from downtown Calistoga. 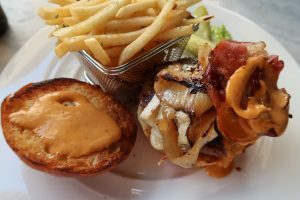 When visiting Ehlers Estate, you can also see our recommendations for other wineries and restaurants in the St. Helena area such as Brasswood Estate, Freemark Abbey and Tudal Winery by clicking here. Or, you can follow the drop-down menus on the navigation bars above to see our Favorites By Wine Region suggestions for elsewhere in the Napa Valley, or other wine country travel destinations. We, the Two Guys From Napa, highly recommend you plan a visit to Ehlers Estate to enjoy another wonderful tasting experience in the Napa Valley. Cheers!